Should You Choose Carpet or Vinyl Tiles? You are here: Home / News / Should You Choose Carpet or Vinyl Tiles? Are you looking to redecorate your office? Perhaps you’re due an upgrade? Many businesses look to carpet and vinyl flooring in the workplace… but which is better? In this guide we look at the various pros and cons of each and weigh them up against each other. One of the biggest upsides to using carpet in the workplace is warm. Not just aesthetically though, literally. Carpet has insulating properties that not only keep the office warm, but also absorbs more sound. The convenience of carpet is that it’s cost effective and very easy to swap, remove or replace. It’s also better for the environment to use carpet tiles, due to their modular nature. Vinyl too is very cost effective and affordable for small to medium sized businesses. It’s incredibly easy to install, but gives a much more luxurious feel to your floor. It’s also much easier to clean and far more hygienic than the fabric of carpet. They’re also surprisingly very durable and capable of large amounts of foot traffic. 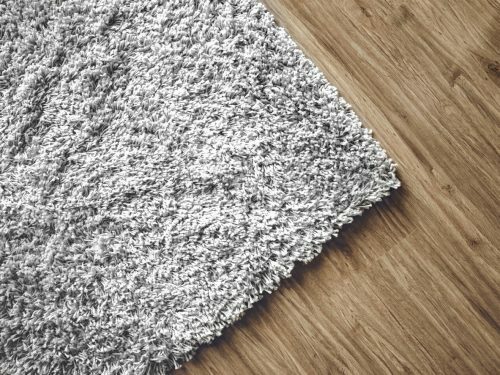 Carpet, although great for warm and sound, is less easy to clean. It may require you to invest in carpet cleaning services every now and then to ensure it stays in top condition. It’s also more likely to stain. Common office drinks like tea and coffee are the biggest culprits for it. Poor carpet fitting can also appear more obvious and cause trip hazards. Although vinyl has a more luxurious look, it is very cold and hard on the feet. Depending on the colour/texture you choose, it can also make the environment look slightly sterile. Without additional sound-insulation underlayment, vinyl does not overly absorb noise – so it’s less desirable for much busier office environments. Of course the choice is always yours and dependent on your needs/specifications. Having said that, there’s nothing stopping you from using both materials within your work space. You can use carpet for more noise polluted areas and vinyl for walkways and meeting rooms. We offer both commercial carpet and vinyl flooring in Woodbridge, Ipswich and surrounding areas. Come and visit our showroom today to find the perfect flooring for you. Ready to put the Hart back into your home? Please see Our Work for inspiration and feel free to email us with any questions or call us to discuss your requirements. Alternatively please pop into our showroom on Dales Road. Are you looking to redecorate your office? Perhaps you’re due an upgrade? Many businesses look to … [Read More...] about Should You Choose Carpet or Vinyl Tiles?